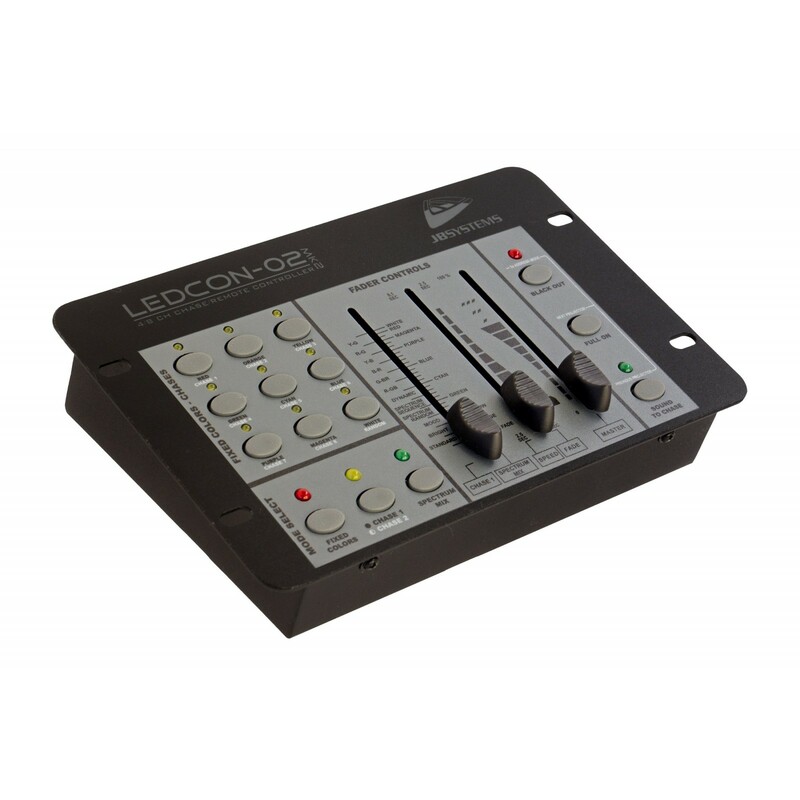 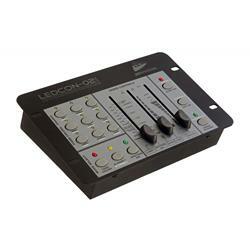 LEDCON-02 MK2 is an all round LED remote controller with extreme flexibility. 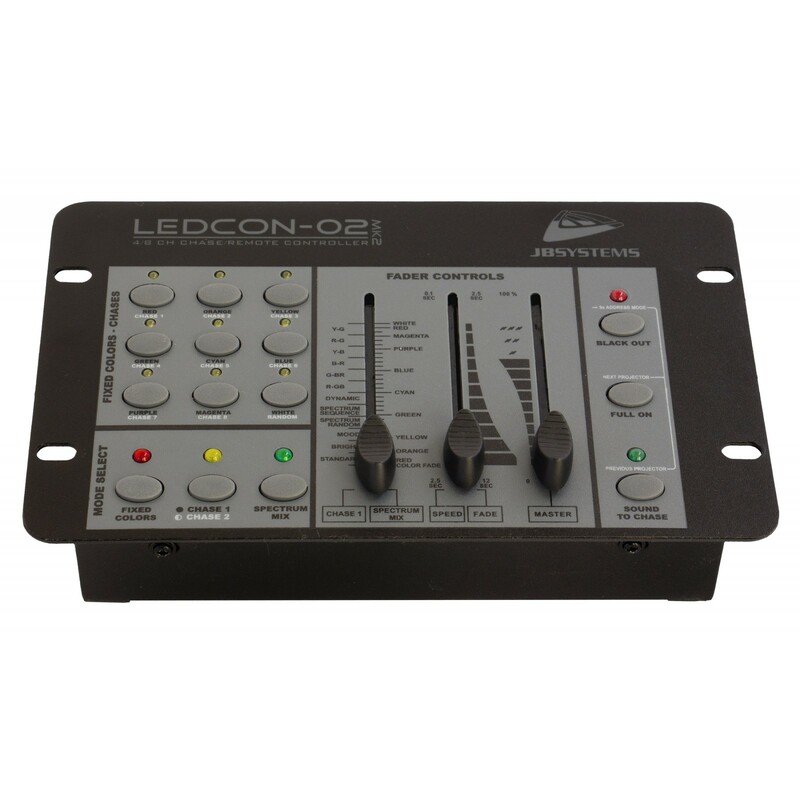 4 or 8 channel LED light modulator with integrated, music controlled, chases. 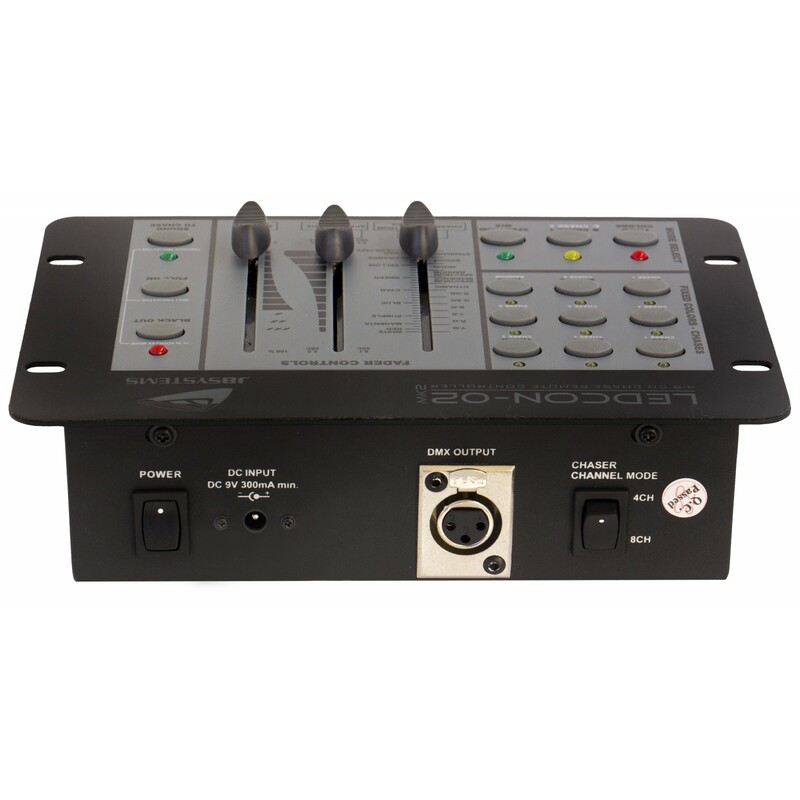 Full automatic DMX-address function for up to 120 LED projectors!